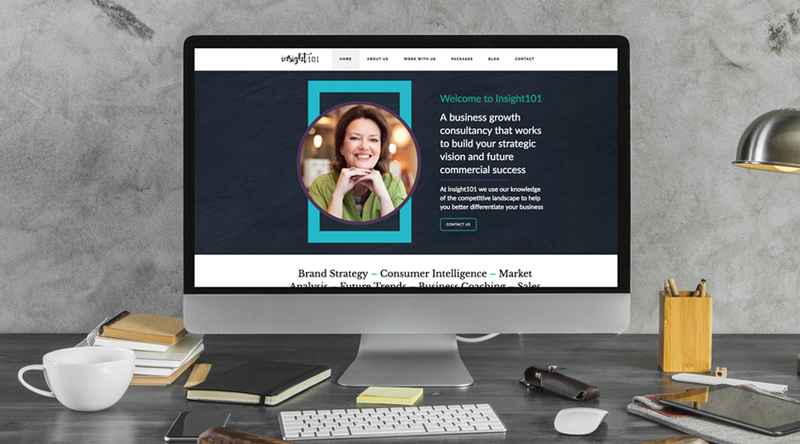 Insight101 are a business growth consultancy that works to build your strategic vision and future commercial success. 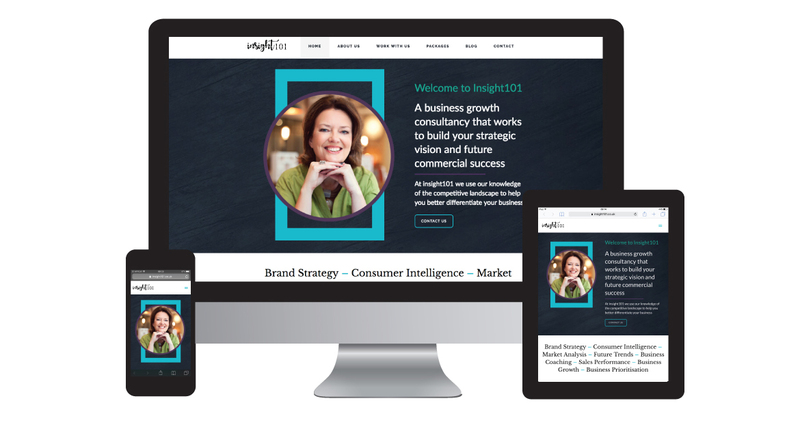 We worked closely with the team to develop a brand new website. We built a bespoke mobile friendly website, social media banners and all the promotional materials that were needed to launch the new venture. "Starting a new business is daunting at the best of times. The list of things to do can be endless. Website design, for me, was one of the biggest challenges as I knew nothing about it and yet obviously realised the importance of it. I was compelled to get in touch with Ben and Jess of Design in the Shires after seeing what a great job they had done of my accountants website; ‘not an easy feat’, I imagined, ‘If they can make this look interesting then surely they would be able to help me.’, I thought. Well, they did that and more. Right from the get go the communication from Jess was great, she took the time to explain the process behind each part of the job (I commissioned logo design, flyers and business cards as well as website and email) so that I was confident that with their help I could achieve what I was looking for. Their patience with my endless questions and tweaks to various things throughout should also be highly commended - no request was too small or too big - they were all taken care of promptly and professionally. The end result speaks for itself; high quality work that they should be very proud of. I know I am. Thanks again Design in the Shires"
"Design in the Shires has one crucial element - listening to its clients needs and responding rapidly. Nothing is too much trouble and I'd like to think that I've developed a strong and long-lasting relationship that will ensure that my website builds, develops and meets the needs of the future. A website should live and breathe and with Design in the Shires help I know that we will work together to ensure that it does"